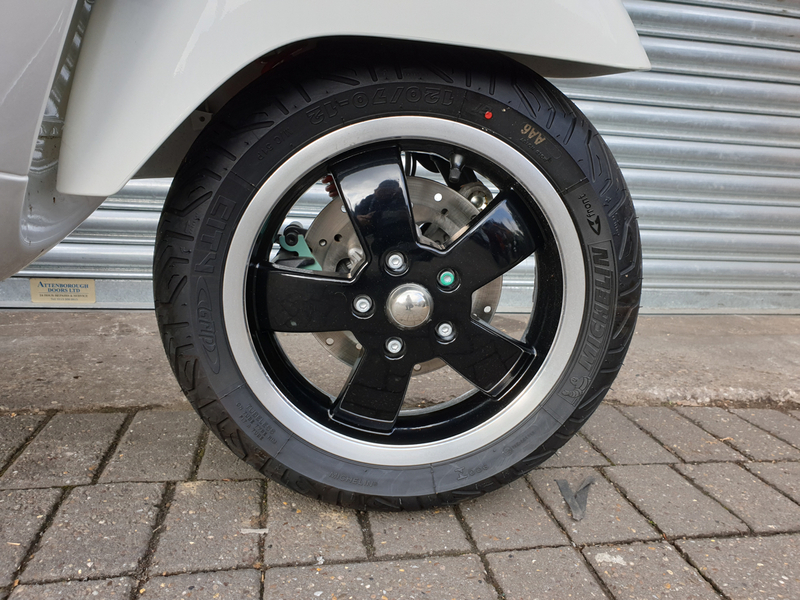 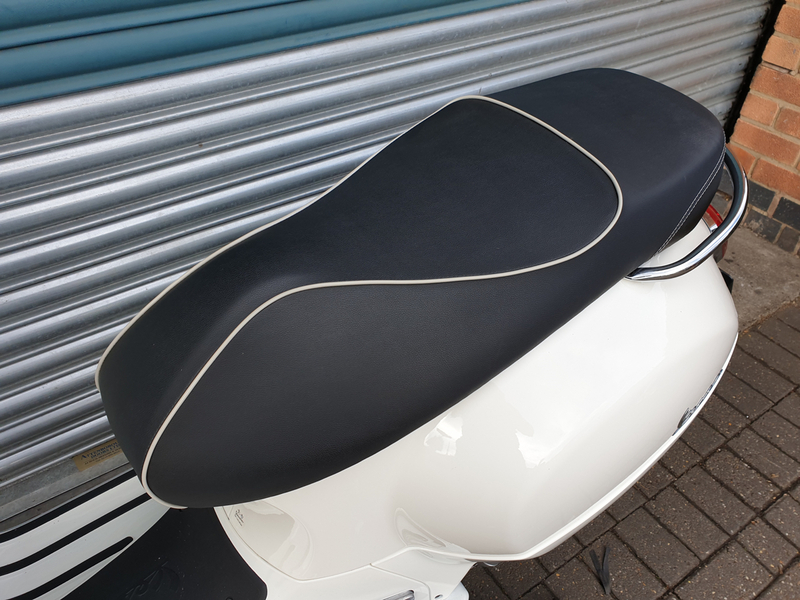 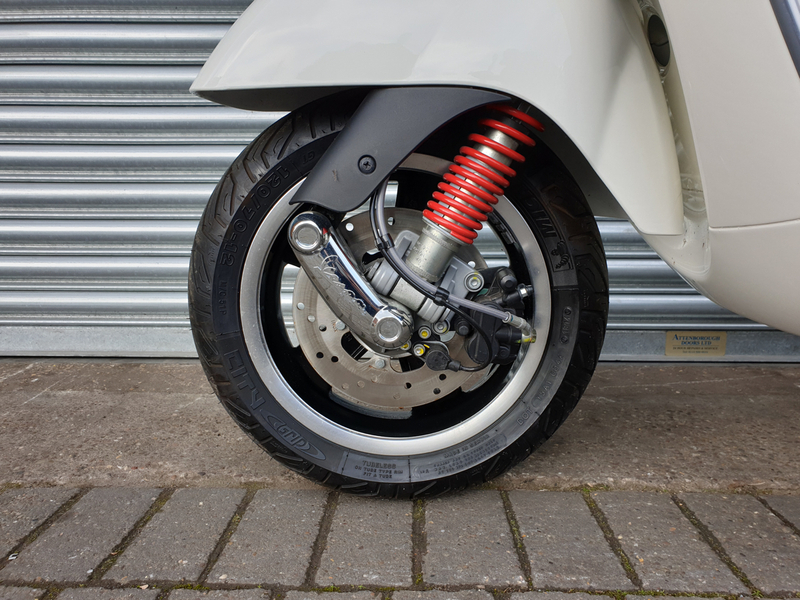 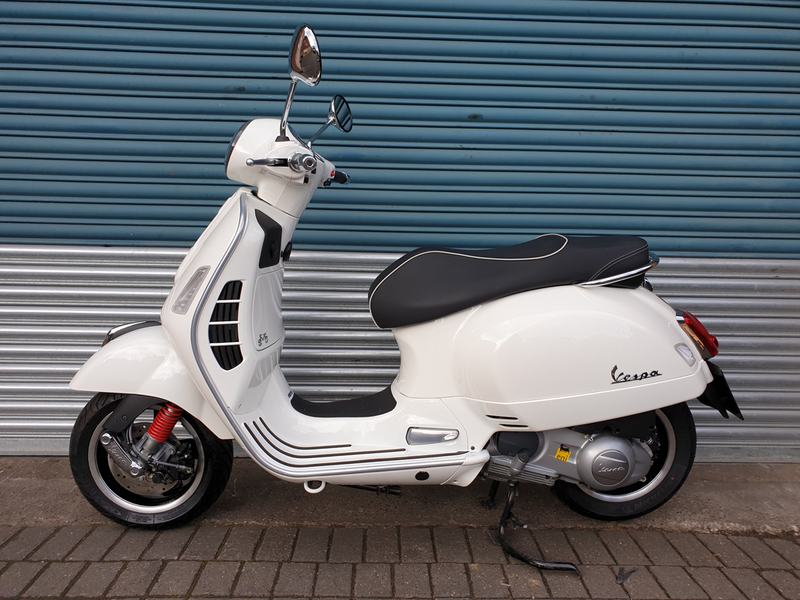 Presented here is a lovely, clean Vespa GTS 300 Super ABS in a fantastic white colour with black contrasted saddle featuring a white piping. 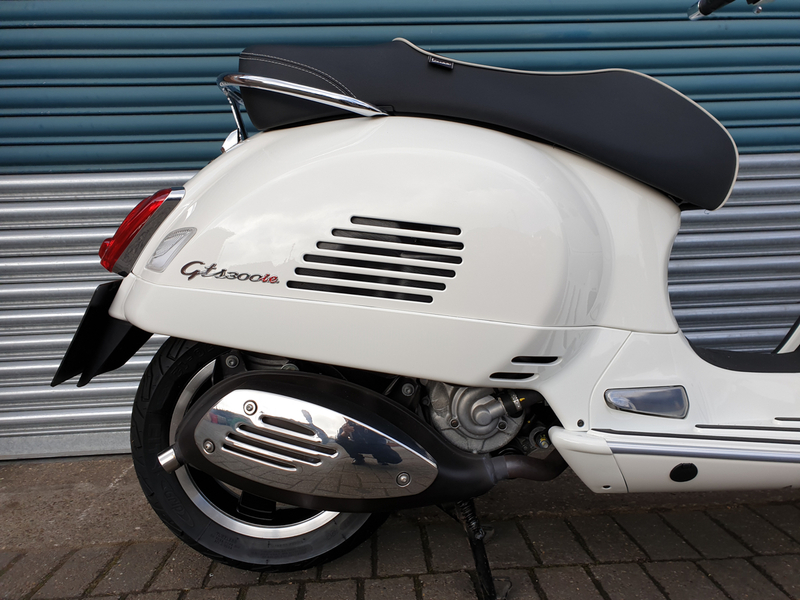 One loving owner from new, this Vespa GTS has ONLY covered 476 miles from new and has been fully serviced; will also be supplied with a full 12-month MOT. 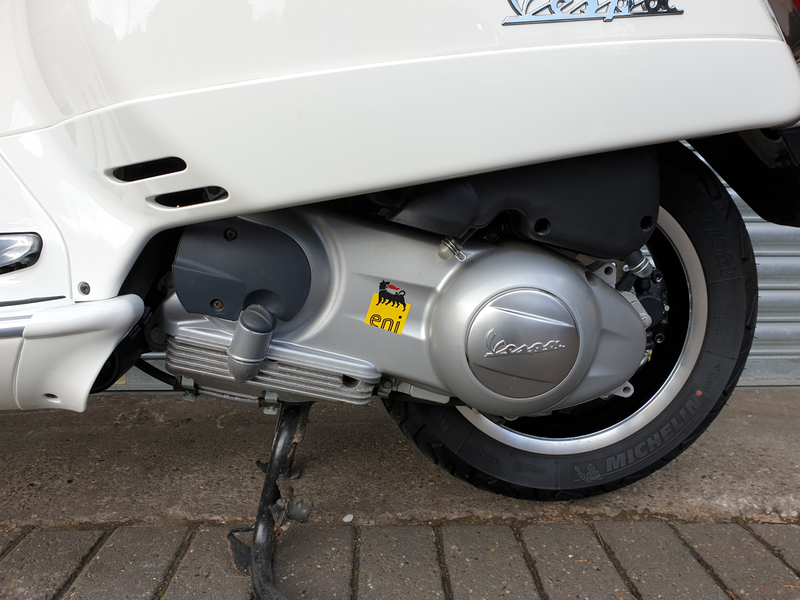 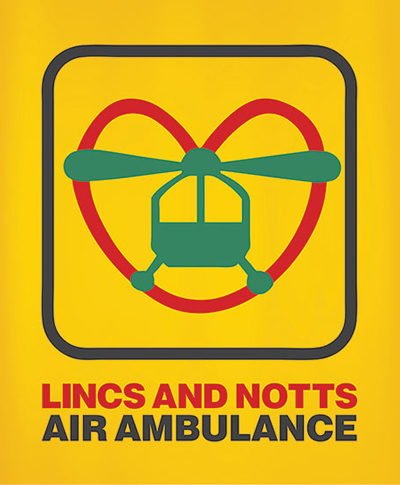 Standard features of this model include a 300cc belt driven 4-stoke engine, front & rear hydraulic brake discs, 12″ wheels fitted with Michelin City Grip tyres, single side sprung loaded front suspension, dual sprung loaded rear suspension, fold-away rear pillion pegs, under-seat storage, glovebox storage, luggage hook, side & main stand. 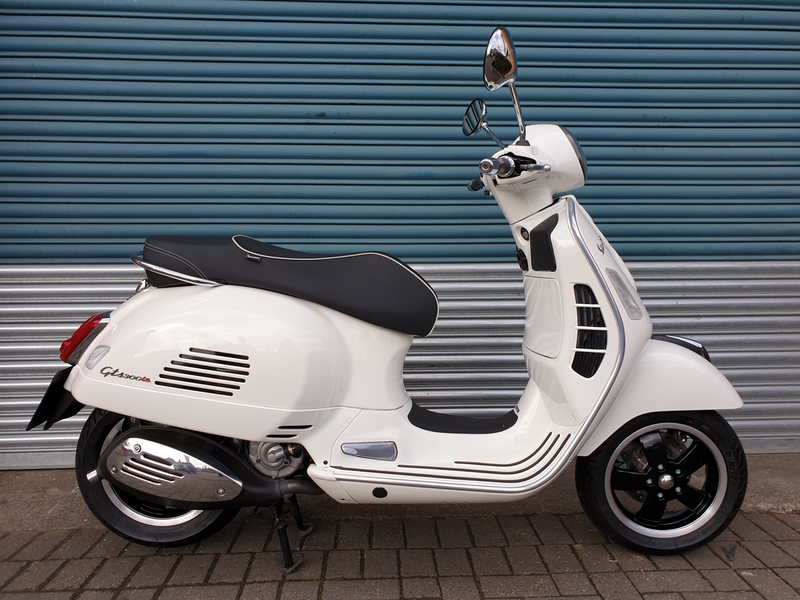 Got a question about this Vespa GTS 300 Super?